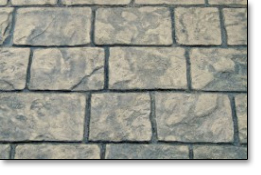 DESCRIPTION: Gives an "Old World" look to your hardscapes. Flexible pattern concrete stamp is great for smaller areas and detail work. Grout lines: 1/2 deep. 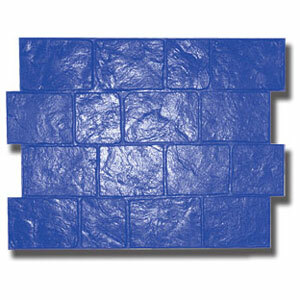 Stamp dimensions: 22 3/4" X 29 3/4"
Stamp has a pattern variation to lend an authentic look.